5 specialty crops you may not know make a lot of money. All of the crops listed below fall into this category. These specialty crops you will find listed here have been specially selected for being easy to grow and considerably profitable if done right. Even better, the crops basically grow themselves, if you have a few hours a week for attention and a couple hundred dollars for a start-up, you could be well on your way to making a living off your green thumb. 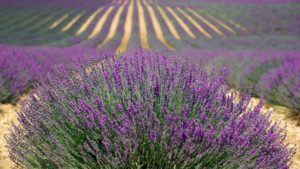 Lavender is an especially profitable farming idea with a soothing scent and versatile nature. Small growers can make considerable profits selling the blossoms in bundles to the florists or crafters of various ornaments and arrangements. Lavender is also especially valued for making essential oils which require large amounts of blossoms to produce. Then you can stuff pillows, or sell the blossom by the pound. Urban farmers lacking the sprawling acres of gardening space will find that growing gourmet mushrooms may be the best way to capitalize on their green thumb. Mushrooms are just about the most profitable crop per square foot— that can be grown legally. 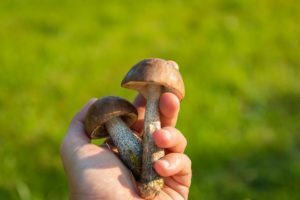 Two of the most common varieties of mushroom for the home grower are shitake and oyster mushrooms, which can produce around 25 lbs from a 10 X 10 gardening plot in a year — at the current rate of $7 a pound this is a good chunk of money and perhaps the best of these profitable farming ideas. Also known as “woody stems”, woody sprigs can be sold to florists and other businesses that produce flower arrangements and authentic ornaments. Many of these woody sprigs have vibrant colors and make an attractive garden display, others have attractive berries, flowers or buds that are valued for individual styles. Some common woody sprigs to grow are Redtwig Dogwood, Forsythias and Hydrangeas. 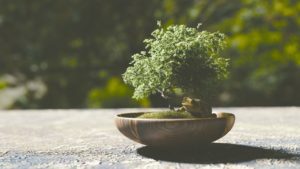 From trees no taller than your finger to miniature maples and firs, the Japanese Art of Bonsai cultivation can make you very rich if you have the patience and attention to detail to create a masterpiece. The hobby of bonsai growing is rapidly taking on popularity and there is a huge demand for these productions from hobbyists of all proficiencies as well as avid collectors. Most of the time a cultivator will specialize in one of four different areas of the trade— starter trays where young bonsai are nurtured, untrained trees and shrubs beginning in new pots, trained specimens for starting hobbyists and finally the specimen plants that can be sold for well over $100, and even many times that, if done right. Many growers affectionately refer to garlic as the “mortgage lifter”. 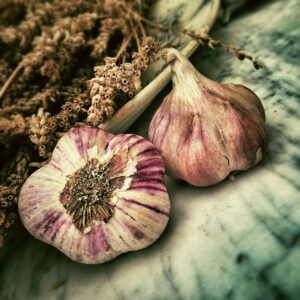 Not only because gourmet garlic can fetch a pretty penny when sold to the right buyer, but garlic in its many varieties is virtually impossible to lose due to poor soil or too much water. Garlic is an especially hardy plant and will survive in just about any condition, and its highly popular — there is hardly a cuisine in the world that does not feature prolific garlicky dishes, and why wouldn’t they? When starting to grow your own crops for profit, keep these tips in mind when planning, buying and beginning operations. We’d love to hear about your own experiences with these crops! What are your thoughts? Leave us a comment in the section below! Want to start your own business? We can show you how. Click Here to get your Free Book to Unleash the Entrepreneur in You! Follow us on Facebook to never miss out on the latest news in the ecolonomics space!